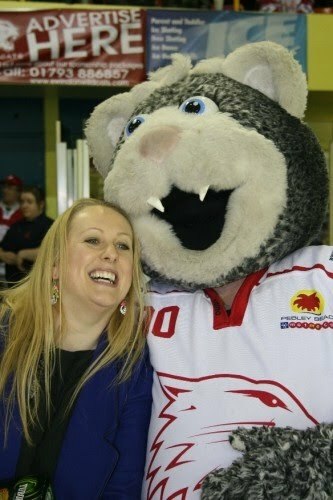 OMG will be going to the Swindon Link Centre tonight, to watch them play against Sheffield. We are sponsoring the game and have the VIP box!!! Ice hockey is a fast and furious sport, probably just like here on a Saturday - fast and furious! Wow we are busy in the salon today!! If you are watching the game tonight, come and say hi to the OMG girls! Go Cats Go!!! The final piccies of our photoshoot are soon to be released, but just thought I would give you a sneak preview? What do you think?!! Tea at Claridges anyone? Beauty Director Vanda Tanner travels to London tomorrow for luncheon with Professional Beauty and Darphin, for a working lunch at Claridges. OMGs Spring Sorbet photoshoot went well today. Worked with our photographer friend Kris Talikowski and Anna, a fashion stylist that he introduced to us. Thanks to Coral, Jaimee and Becky for being our models - photos will be posted up soon! Heres some behind the scene piccies of OMGs 1960s photoshoot with Kris Talikowski. Pics kindly donated by Vicki Blatchley. Girls Aloud coming to OMG!! 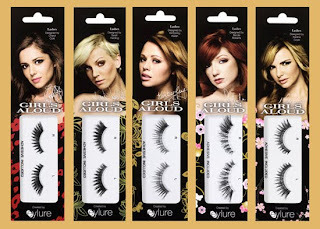 Finally secured the arrival of Girls Aloud False Eyelashes, for sale at OMG! They are on their way! 5 styles to choose from and quickly becoming the Number 1 choice for false strip lashes. But if you want something a bit more permanent, dont forget, we do semi permanent eyelash extensions! !